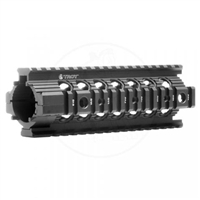 MIDWEST INDUSTRIES GEN2 FREE FLOAT RAIL- CARBINE LENGTH 10"
Midwest Industries free float rail for you M4/AR15- Carbine length 10". 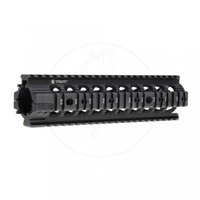 MIDWEST INDUSTRIES GEN2 FREE FLOAT RAIL- FULL LENGTH 12.5"
Midwest Industries free float rail for you M4/AR15- Full length 12.5". The Tactical Edge Arms WRS12 rail is the direct result of input from some of the most elite WARFIGHTER's in the world. This 12" rail features a super slim profile, 6 locking bolts (to prevent twist) and 4 QD sockets. With an agressively tactical design and steadfast precision machining.